Love it? Hate it? Rate it! 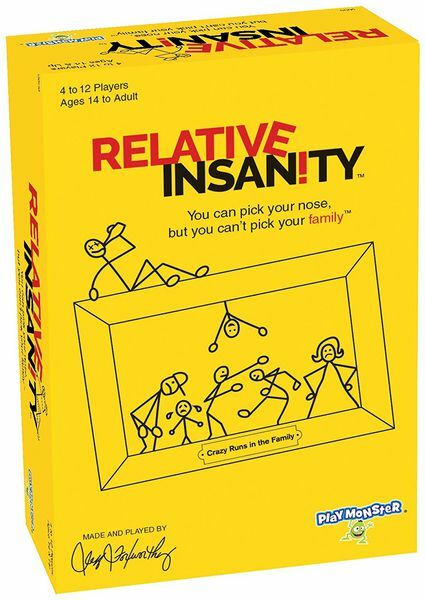 Relative Insanity is a party game created on the works of comedian Jeff Foxworthy. In this party game, one player will read out a setup card and other players will then choose and play a punchline card to fill in the blank, hoping the reader chooses it as the best card.